Hello and welcome to Truth OR Myth, in today’s episode we take a look at the Various religions in Star Trek and how this pop culture iconic series deals with the difficult subject. 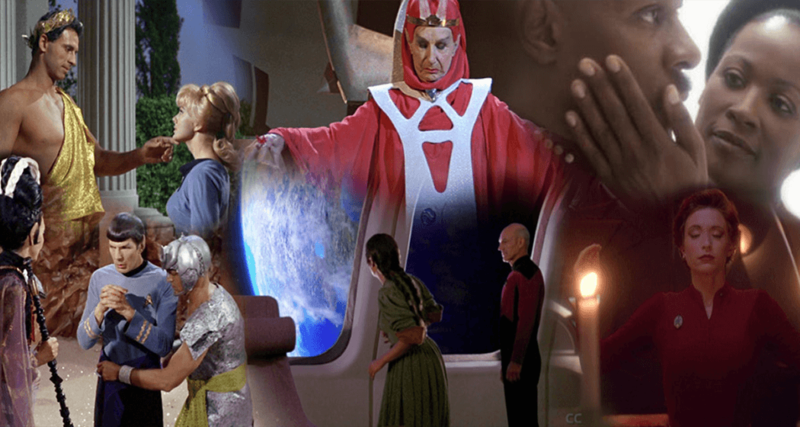 Star Trek has always had a very touchy relationship with religion, sometimes embracing it, sometimes outright ignoring it. But one thing that CAN be said about Religion in the 24th Century is it exists and is a very colourful and diverse plot device. From the moment Star Trek was conceived religion would be an ongoing subject for debate. In the Original Series, Kirk and company would go toe to toe with Various gods and people with god-like powers and always come out on top. 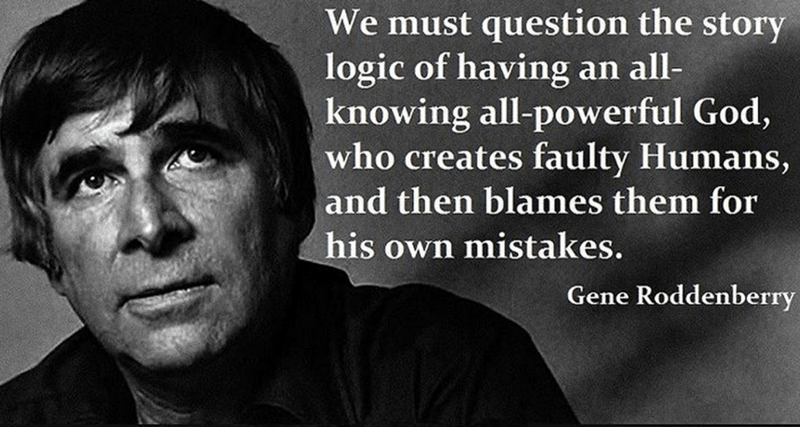 Gene Roddenberry was not a religious man by any stretch of the imagination, and at times could appear disrespectful to religion with both his comments in Stories and out in the real world. So with that kind of attitude, it is no surprise that his legacy would tend to treat the subject the same way. Whenever in TOS a supposed god shows up, it’s clear right off the bat that the crew is having none of it. And they go out of their way to prove that the supposed god is nothing of the sort. And they’re always right. But even with this perspective, it should be noted that Roddenberry included a chapel on the Enterprise, even if it was non-denominational. Which means even he acknowledges that Religion is still around for humanity in some form in the ERAS of Star Trek. The reality of the situation then and now is obvious. For a TV show to come out and say hey, we have a Catholic Church on board the Enterprise, or everyone is Jewish or Islamic, would mean that people a part of any Religion NOT represented would immediately be offended and turn away. 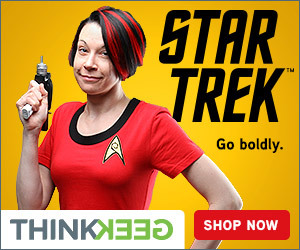 And you don’t want to lose sponsors for a show, that would mean the death of Star Trek before it even began. 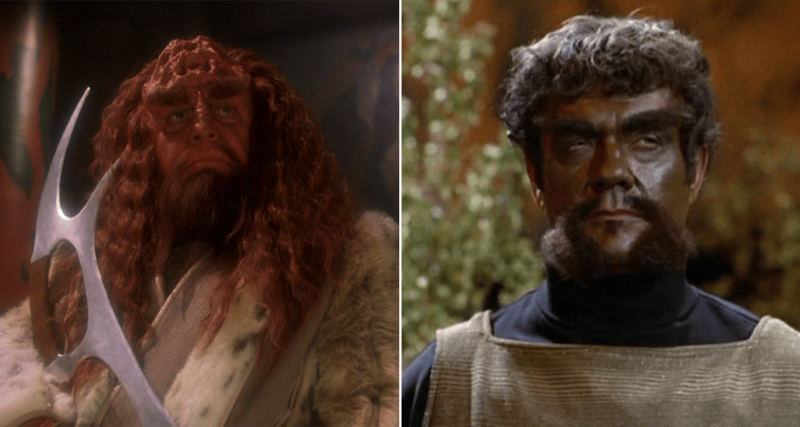 Flashing forward to the Next Generation, Star Trek took the opportunity to introduce the traditions of the Klingon Empire as a Religion based around Kahless the Unforgeable. And before you say it isn’t a religion thing, they have monasteries, it’s a religion. 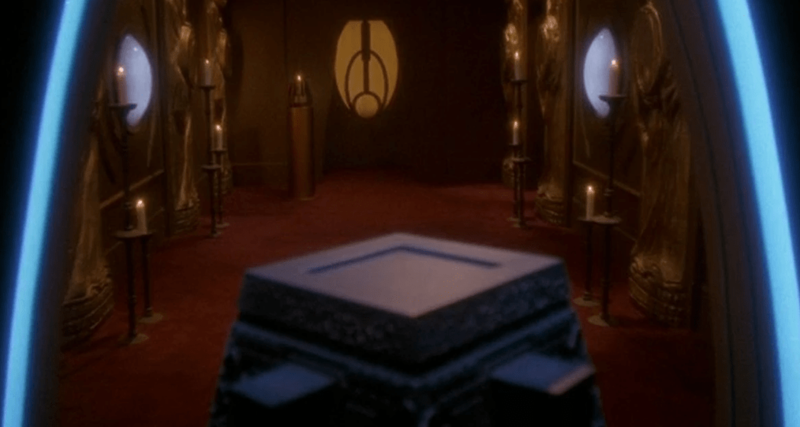 The Klingon Religion is shrouded in honour and intrigue. Complete with its own missing religious artefacts, IE The Sword of Kahless, their religion would often time be looked down or frowned upon by humanity. Or in the other extremes would be seen as a cultural oddity like drunk guys at the biggest frat party ever created. Just watch the TNG episode, “Firstborn” and how the Starfleet extras react during the Carn-E-Val scene and you’ll see what I mean. And although The Nest Generation would take a softer and less prominent look at any religions, the times when it did, such as the Episode “Justice“, it was again very clear that humanity had no respect for religion at all. After all, the people see the giant space station or life form or whatever it is thingy as a god, while Picard sees it as something to outwit with a clear speech showing humanities, and his, superiority. It wasn’t until Deep Space 9 came along, however, that Religion would become a central topic and would begin to treat it with respect. The Bajoran gods, The Prophets, were to Starfleet and Commander Sisko merely wormhole aliens that didn’t live a linear existence. 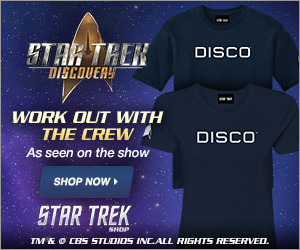 At first glance, this makes sense in a lot of ways to Sisko. Having beings that could look at any point in time past present or future, and as such could predict or influence those events determining an outcome they desired is very scientific after all, but it’s also very religious. Deep Space 9 was able to straddle the fence on this topic very well. You see, both sides work. By scientific means, this alien species can time travel and change things. On the other side, these beings are all powerful and influence the course of events through history in an attempt to shape the galaxy in a way that saw the best outcome for their children the Bajorans. They sent orbs, with the ability to send you through time, give you a bit a personal wisdom and even predict future events among other abilities. They also had various Bajoran citizens that were given visions without the aid of an orb. And many of these people such as Trakor, would write their visions down and they would become prophecies that would ultimately come true by Sisko’s time. Now a lot of people could say that a person could interrupt events any way they want to make a prophecy come true. Followers of Nostradamus have become infamous for bending certain of his prophecies to fit events in our time, but in this series that would be incorrect. We know, the prophets actually DID do send these Bajoran visions of the future which they wrote down and interrupted using their own limited knowledge of the universe. So yes, they have genuinely fulfilled prophecies. Not only that but you have a species that can build a stable wormhole that leads to the other side of the galaxy, a species that can transform a person in to anything they wish, a species that can kill or revive a person with a mere thought even changing their entire personality or soul, and it’s no wonder the wormhole aliens are considered gods by the Bajorans. After all, what is a god anyhow? People have argued that if you would consider the wormhole aliens gods, then you’d have to consider the Q gods. That is flawed logic. A god isn’t simply a powerful being, it is also a compassionate and merciful being, that basically only gets involved in dramas when absolutely necessary. The Prophets, on the other hand, shape their chosen people and guide them. Giving them clues along the way to help, but ultimately leave the decisions up to the individual at hand. And like the god of Christianity, gave the galaxy their son, to live among the people and perform his miracles to keep the Bajorans safe. In fact, the parallels run so deep that Sisko had to sacrifice himself in the series finale, while at the same time not being sacrificed but rather reborn to The Prophets. And as Sisko himself said, he might return tomorrow, or he might return yesterday, which foreshadows the same type of thing that the bible tells us will happen. You could even go so far as to say that Christianity could have been created by the prophets. That they influenced EVERY religion. Heck, they even have evil demons known as Pah Wraiths that born of fire, the parallels are uncanny. So without saying hey, these are gods, Star Trek said, hey these are gods. They did an excellent job of making you think, and question your inner beliefs and your own faith. They did a great job of merging science with faith. Unfortunately, though, Voyager, on the other hand, was horrible at Religion. Though again the predominance of it was very rare, when they did tackle the hard questions, they did it horribly. Take for example, “Sacred Ground,” we as an audience are supposed to be swept off our feet like Janeway is about the events she went through to save Kes. And had they left it at Janeway saved Kes, spoke to the supposed gods, and a miracle happened we might have been. However, this episode about having faith, in fact, takes it all away at the end providing a scientific explanation for all of the events. So, in essence, it defeats its own points. And Janeway, though visibly affected by those events at the end of the episode shows no difference to her scientific belief personality in all future episodes. Making it an “oh that happens once and is now forgotten,” type of episode. Another example of this poor handling is the Character of Chakotay. He has a native upbringing and so, of course, he’s a stereotypical cookie-cutter native right? I swear half the time he talks it’s about his people and their beliefs, rather than showing his beliefs through his actions. I often times expect to find a ground of natives in loincloths surrounding him tomming their drums and lip popping during those scenes. It’s actually very offensive. Chakotay could have been a break out character in the area of religion, continuing what DS9 had started. Having him being a Starfleet Commander who believes in Science and exploration while challenging his faith at the same time. But oh no, instead we get a guy that offers up spirit guides to the crew, uses stones and symbols to navigate the ship, and uses stories to waste time instead of just saying no you shouldn’t do that. Talk about a missed opportunity. The one thing I CAN say about Star Trek though is it learned from Chakotay and didn’t make the same mistake in Enterprise. In fact, Enterprise tended to shy away from religion, having very few references to it at all. But in the end, it still does solve the problem Trek has with it. So the question is can Religion and Science co-exist? And the answer is yes. 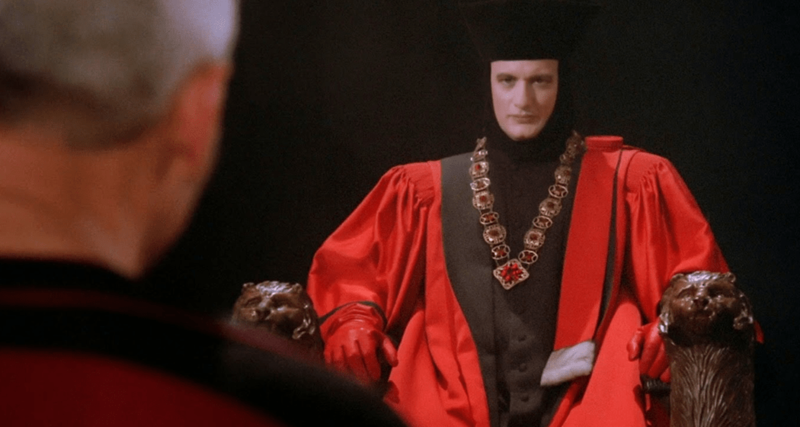 When done right, Religion in Star Trek can be a powerful storytelling tool, that can make us look at our own individual cores and question everything we know in our surroundings. Deep Space Nine proved that. But at the same time am I trying to tell you that a god of some sort exists and that you need to examine your faith? Of course, not, faith is always up to the individual, and as such, it’s always up to you to decide what you believe in or how much you believe in something.